The Skidmore Family: Such a Helper! 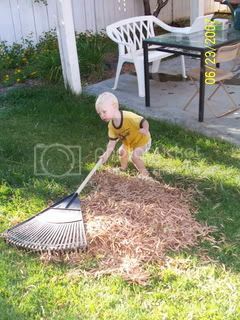 Dylan is getting to the age where he wants to help with everything! He wants to help Mama help cook, Dada move the couch, Grandma and Mama clean the garage. 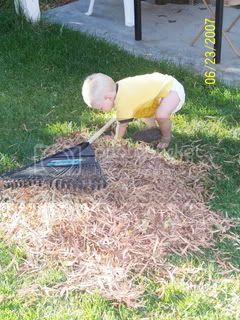 Here are some pictures of Dylly raking and a video of him helping Dada move the couch.